At AZ Trading, we offer a large selection of R/C toys and unparalleled services. Not only do we offer very competitive wholesale prices, we also offer Drop Shipping services and Web-site services that will save you money and time. AZ Trading has been in business since 2001 and has shipped over 300,000 packages up-to-date. 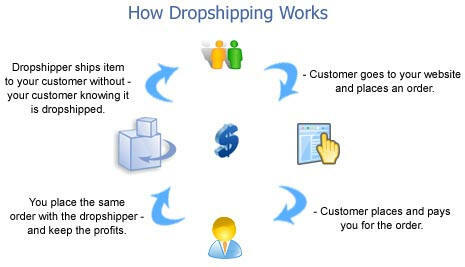 Our Drop-Ship program has been very popular among internet retailers! - No storage room required. You don't have to fill up your living room with stock and packing materials! - No shipping costs getting stock delivered from the distributor.Drop shipping means you don't have to pay a carrier to bring stock from the distributor to your own storage area, which can mean big savings in the long term. - Spend more time on other areas of your business. You don't have to organize the packing and postage system, nor do you have to drive to the post shop each day to post your packages. This gives you a significant increase in time to spend on other tasks such as marketing and communicating with customers. - No packaging required. You save money by not having to order and store packaging materials. AZimporter.com has an exclusive partnership with the leader in dropship inventory management solutions, InventorySource.com. Through this partnership, it has never been easier for AZimporter.com resellers to launch a new website, manage their items on their existing website, or sell on multiple sales channels. If you already have a website, Inventory Source can automatically load your items and update price, quantity, and status changes for you on all major shopping cart platforms. No code changes are needed for your existing website. It is a simple plug-and-play solution and a fully management process. Inventory Source can take you through each step and get you setup with the Automation Service or Custom File Service for your existing website. Also, if you want to launch a new store for your AZimporter.com items, Inventory Source can help you launch and provides and fully hosted shopping cart platform at no additional cost with your Automation Service for your AZimporter.com items. To learn more about our partnership and to get started with your free InventorySource.com account just CLICK HERE.